Andrea West, Crafting, Crafty Dreams, Do it yourself, I made it, Journal, Love Today, Night of Navy, Planner, Stampin" Up! I’m so excited to start the year out right with a new class! This one you can do in person or online. The only difference is no soup. Most of you who attend my Sunday Soup and Stamp will no what I mean! So start your new year out right with this beautiful planner that you can customize to the way you like. This planner will help keep you on schedule and give you a creative outlet too! This all-inclusive kit with has everything you need to create a customizable yearly planner. Includes Night of Navy 2-ring binder; 12 divider pages; calendar pages; 4 photo protector pages (hold six photos each), 5″” x 7″”( 12.7 x 17.8 cm); page lifter, 3″” x 8-1/4″” (7.6 x 21 cm); printed and gold foil accent stickers; sticky notes. In addition I will be adding a Stampin’ Up! Journaling Pen and we will also be creating two cards to keep in your planner for a special occasion. As always Sunday Soup and Stamp. So we will also be stamping the January calendar in a gorgeous array of colors fitting for the start of the new year. Not to mention a few surprises for everyone! Let’s start this year out right! This Class will be $40plus tax. You must prepay as I need to order the planners. Click the link below. However, if you choose to take the online class you will get all of your product to complete your kit plus the extra goodies you would if you attended the class. You will also get a private link to get the guided tour of not only putting your kit together but some surprises as well. 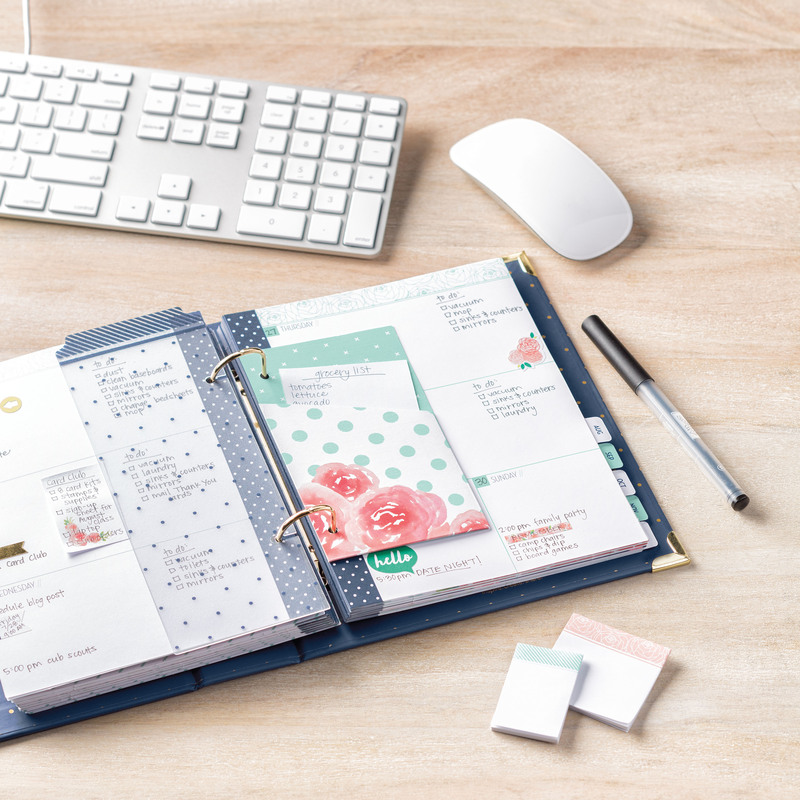 In Class or Online you will get everything you need to finish a beautiful planner, two cards and some beautiful accessories to begin personalize your journal your way.